If you can learn how to save money on low income, you will be able to quickly build up a financial buffer which will help protect you from debt. Savings are important for everyone. If you can save money on low income, you will have the security of cash to fall back on in the event of an emergency. Having money available means that you will reduce the need to get into credit card debt or take out a payday loan. 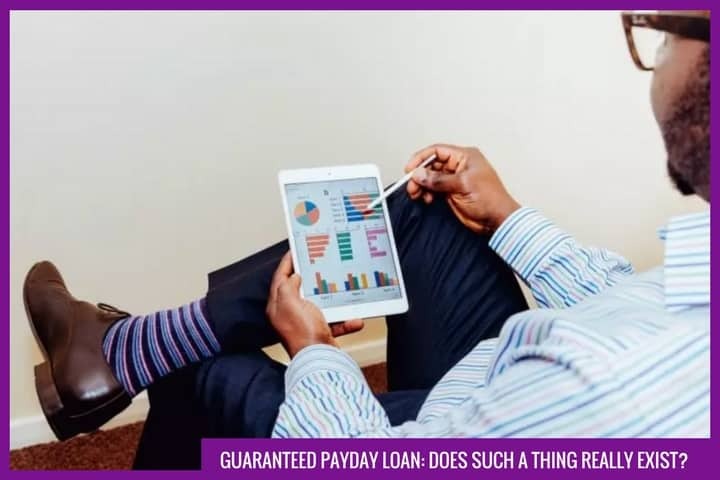 You should hopefully be able to pay less for the things you do buy, by making payment in full up-front rather than paying on credit and incurring interest. If you do not have a lot of money coming in you may feel like every spare penny goes on bills and essential groceries. The following personal finance tips and strategies could help you save money, even on low income and with relatively fast results. Accommodation costs are some of the highest outgoings that most people ever deal with. If you can cut the cost of your accommodation, you may have extra money to set aside in a savings account. How to reduce accommodation costs? Find a smaller or cheaper property to rent or perhaps consider moving to a less expensive town if you are not tied to one place by your job. If you live on your own, consider if you really need a whole house or apartment to yourself. Renting a room in a shared property could save you a considerable amount of money. If you own your home and have a spare room, why not rent it out or take on a lodger? Depending on where you live AirBNB is increasingly popular with travelers and could be a great source of additional income. You can then use these payments to cover a portion of your mortgage. If moving to a new area or type of accommodation seems unappealing, think of it as a short-term solution to help you gain financial freedom. If your current situation means you are regularly living hand to mouth, you need to look at ways to escape this scenario. Gas and electricity are essentials. You cannot live without heating, hot water and lighting around the home. There are very few things to help you to differentiate between energy suppliers, which means that switching from one to another will unlikely result in any noticeable change to the level of service that you receive. Not all suppliers offer the same pricing packages or charge the same amount for what you use. You can switch energy provider quickly and easily online, potentially saving £100 or more over the course of a year. If you do switch and makes monthly/ annual savings. Remember to put this money aside, so you can enjoy the benefits of your efforts and work towards your overall goal of saving money fast. Buying groceries online may seem counterintuitive when you are trying to save money, but if you have not tried this recently, you might be surprised at today’s delivery prices. Ordering food for delivery was once significantly more expensive than visiting the supermarket in person, though many now offer free delivery or charge as little as £1. You can watch your total increase as you shop – helping you keep tighter control of your spending. You will not be tempted to make impulse purchases as you can be when you walk around the store. Buying online encourages a habit of meal planning. You are more likely to decide exactly which meals you would like rather than buying ingredients and expecting to find something to use them for. This will keep your spending down, and provide extra space in your cupboards, fridge and freezer. As long as you only shop online, you will be purchasing everything you need in one go and will probably buy enough to last for at least a week. This can help you to avoid those midweek visits to the shop to pick up a few extra items. Often, these small shops are the ones that mount up to grocery overspending. Tip 4: Save money with coupons, vouchers, discount codes and cashback. Whenever you are making a purchase online, search for published discount codes before you place your order. You may be able to save money by using a code that you find online, using a discount code website or perhaps by signing up to the company’s email newsletter. Companies live Groupon, voucherscodes.co.uk and Hotukdeals offer a wealth of money saving opportunities to help reduce the cost of any non-essential purchases. If you are looking to shop for anything, remember to type in ‘vouchers’ or ‘discount’ after your search term to see if any deals are live. If you want to save money on low income, cashback is another great way to save. Topcashback and Quidco are 2 of the most popular website for this in the UK. Not only can these sites offer great deals when you sign up for various services (we have just seen a deal with BT offering over £215 cashback on a broadband/ TV package) they can also be a great way to create a regular income on everyday purchases. For instance, if you travel by train often, trainline.com offer regular cashback on all bookings which soon adds up. Offline, look out for and save any coupons and vouchers that fall through your door. These are often forgotten about and can give great deals. Remember to use them, then set aside the money that you have saved by being a thrifty shopper. Mark a day in your calendar for a big spring clean. Go through every room of your house and be brutal. Think about what you should throw/ give away and what items are in good enough condition to sell. You might be surprised what people are looking to buy. Selling your old belongings, including things that you haven’t used in years could add some extra coins to your piggy bank. As well as selling your used items, buy what others are selling second hand. You can buy almost anything second hand from home appliances and furniture to clothes, bikes, and toys. Websites like Ebay and Gumtree are great websites to discover amazing bargains. Buying second-hand means you will be able to indulge your spending habit more frequently and you should still have spare money to set aside for a rainy day. If you have a savings account but find yourself forgetting to use it, or spending money elsewhere then a standing order could help you to save money on low income. Create a household budget that covers your income and expenses. When you have worked out how much money you will have left over, set up a standing order that will take the remaining money from your current account on payday. This money can automatically be sent to your savings account so that it is no longer available to spend. Ignore your savings account. Do not be tempted to dip into it. Any money that goes in should not come out, except in genuine emergencies. Not taking into account the health benefits of taking more exercise, walking instead of taking a car will save you money. Small local trips in your car could be costing £50 per month. Long drives are obviously harder to avoid, but it is all too easy to get into the driving seat for a visit to the nearest shop. Before you get into your car, consider if the journey you are making is one you could make on foot (or perhaps on your bike, if you have one). Walking more often and starting the engine a little less frequently, could give you a good sum of money to set aside at the end of each month. The latest smartphone is a luxury, not a necessity. You do not necessarily need the fastest PC or laptop, especially for essential tasks. Whilst a large flat-screen TV is a fantastic addition to the home, it is not something that you absolutely need. If you are serious about saving money on low income, downgrading your technology can keep costs down. Think how much you might save if you had an old flip phone with no need for an inclusive data contract. You can also sell your high-value gadgets, putting the money that you receive towards clearing debt or building your savings. Whilst memberships are handy and give you access to a wide range of facilities, they can really eat through your bank balance. A one-off expense, though a little bigger in the first instance, could save you money overall. Instead of spending £40 per month on your gym membership, could you instead invest in a set of weights and a treadmill for your cardio? You might not have as much variety, but you will have equipment that you can work with whilst you build up your savings fund. The equipment will be yours to keep, available whenever you need it. It also becomes an asset that you can sell in the future. The initial outlay is likely to be repaid within a couple of months if you close your gym membership account. The money that you used to spend on your gym membership is now yours to add to your savings fund. Remember, a £40 per month gym membership is £480 over a single year. Investing in a bike could keep you fit and reduce the amount of time you spend in your car – helping you to save money on both gym membership and vehicle fuel. It is not wise to apply for credit for your one-off purchases. If you do not have the money available, consider cancelling your membership and letting the funds build up for a couple of months. If you cannot see the money that you are spending, it is hard to keep track of it. Spending cash makes you aware of where your money is going. It may make you evaluate your purchases more carefully. Spending on a card is too easy. This is why people often struggle with mounting credit card debt, despite promising themselves that they would only use the card for emergencies. If you are on a tight budget, withdraw your cash at the start of the week. This will hopefully help you to control your spending and ensure you do not go into next week’s budget. As a bonus, any change that you have left at the end of the week is ready to deposit into your savings jar. Often, purchases are cheapest when they are paid for in one go. This includes paying the annual rate for your car insurance or booking a holiday with full payment up front. You will need to have some money saved up to cover your biggest purchases, but as a result, you will not be paying as much overall. If you cannot afford to pay the full amount, choose your instalment option carefully. Many companies offer a slight discount for paying by Direct Debit, as it means that you are less likely to make a late payment. This could help you to save money on low income, but remember that you will need to have the money in your bank to cover each payment. If you are paying by Direct Debit and do not have enough to cover the payment, you risk expensive overdraft charges. Make sure you record when all your payments are going out and have sufficient funds. The art of haggling is often lost in today’s modern world. If you can find the confidence to haggle, you may be able to reduce your expenses. People often find their insurance premiums to be the easiest expenses to negotiate. Apply for insurance quotes online. Find the lowest quote. Contact other insurers, mentioning the quote that you have received, to see if they can offer a better price. Many providers of products and services will be happy to undercut their competitors if it means that they will make a sale that they would otherwise lose to someone else. As the buyer, you can use this in your favour. When people are trying to save money on low income, they can often overlook things they are legally entitled to. The entitled to benefits calculator can inform you if there are any benefits (such as working tax credits), that you could be claiming. You will need to provide personal details, along with information about any other people that you live with, but you may find that you could be receiving an additional form of income. You can also check if your children are entitled to free school meals. If you are trying to save money on low income but find that you are struggling, then this may be because you are missing out on valuable financial support. If you have the option to reduce your tax contributions, then this might be something to consider. With the Marriage Allowance, you can transfer £1,100 (2016) of the lower earner’s personal allowance so that it can be used by the higher earner. If the lower earner is earning less than £11k per year, this could save the household as much as £220. You can also find ways to reduce your tax bill by making use of childcare vouchers and other similar offerings. When you save money on low income, the bigger picture can seem bleak. Many people believe that their money is not worth saving unless they are setting aside at a significant amount every month. In fact, saving every spare penny can make a big difference to your bank balance. Do not wait until you have £10 spare. Put every spare coin into your piggy bank, to build savings without cutting costs. Your bank may make this easier for you. Lloyds and TSB offer a Save the Change facility, rounding every debit card purchase up to the next full £1. For example, if you spend £9.73, the extra 27p (making around £10 total) would be automatically transferred to your savings account. Do you have any of your own suggestions to add to this list? How do you save money when it can feel like you are only just earning enough to cover the bills and essentials? Share your own pieces of advice for people in a similar situation.